The choice of an authoring tool depends on what you want in a course and how you expect your learners to use the course. You don't want to invest in an authoring tool only to realize it does not have the features that are critical for your courses. At the same time, you don't want to unnecessarily invest in an authoring tool with features you don’t need or are never going to use. 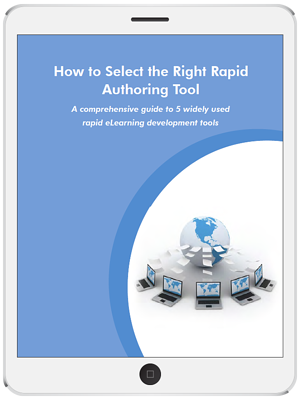 With hundreds of tools flooding the marketplace, how can you select a rapid authoring tool that is appropriate for your needs? Start by understanding the features of the various rapid authoring tools and what they are capable of doing.